As May is now upon us, in keeping with the spirit of Beltane, we are being warned to make ourselves ready for the end of the world. At Rutgers Day on Saturday, the eBible Fellowship was out in force, handing out tracts declaring in no uncertain terms that this month will see the dissolution of all things. Now is the time to buy things on credit, apparently, but make sure the payments aren’t due at least until next month! I’ve written a few posts on this particular prediction before, but the flyers I received have helped clarify a few things for me. I wondered why the god of eBible Fellowship had chosen this year to end it all. It turns out that this is the 7000th year after the flood! Things have been going swimmingly for seven millennia, so it is time to call it all to a halt. Reading further, I was amazed at how accurate the reading of the cosmic timeclock has become. According to the pamphlet, the Church Age ended May 21, 1988. At that time I was too busy trying to get into doctoral programs in Bible to notice, I guess. According to eBible, the Bible states that the tribulation began then and would last for 23 years. That does explain my career history. Reading the passages they cite, however, I just don’t see the numbers adding up. eBible claims that God stopped using churches in 1988, so if you’ve been spending your Sundays there, I guess the joke’s on you. It kind of makes me glad that I was never ordained. Intrigued, I decided to look at their website. For a temporary site there do seem to be a number of incomplete pages announcing that more is coming. There are podcasts about what to do in case you are not raptured on the twenty-first, as well as proof that the world is 13,000 years old, unlike the traditional Ussher date (his name is misspelled on the website). The group, which is based in Sharon Hill, Pennsylvania, states: “We are living at a time when the Bible is being highly exalted by God.” A classic statement of bibliolatry – I was not surprised to note that the King James Version is the one the Fellowship approves. I didn’t see that they calculated the fact that 19 days before the end of the world the KJV would become 400 years old. 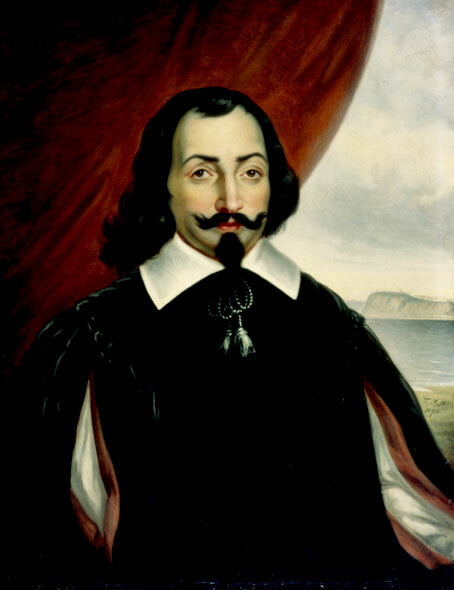 The only significant event I could find for May 21 of 1611 is that Samuel de Champlain returned to Québec from France. I sure I am missing the hidden meaning of that event, since crossing the sea is almost certainly a metaphor for the flood and Samuel is a prophet in the Hebrew Bible.